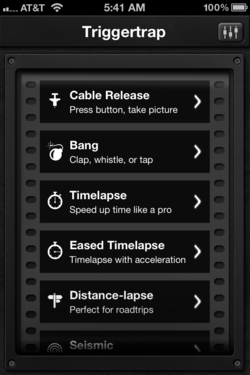 Triggertrap is an ambitious app that enables you to control your iPhone camera, and with accessory dongle and connecting cable, your DSLR. Its functions range from the expected (cable release, sound trigger, and time lapse) to the impressive (eased time lapse and distance-lapse). It sells for $9.99 in the iTunes App Store, so expectations are high for its performance (as reflected in the user reviews on iTunes). I tested Triggertrap on an iPhone 4S, and with a Pentax K-5 and Canon 60D. 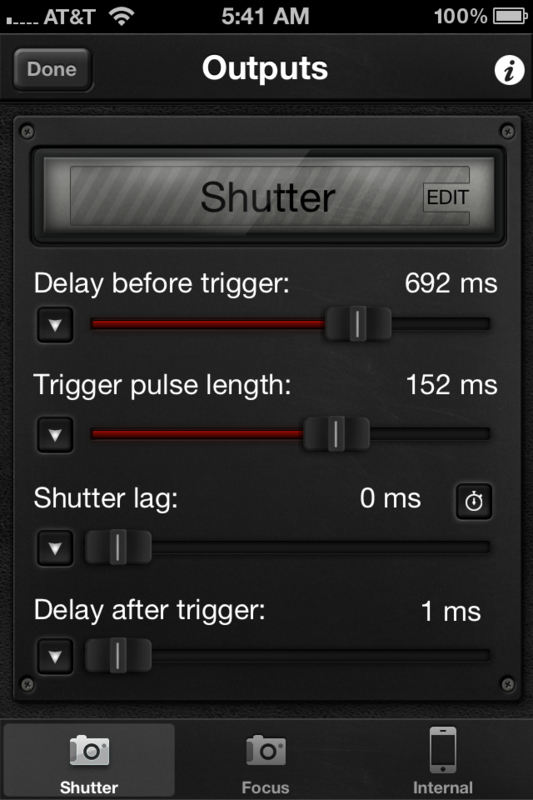 After my recent review of ioShutter, my expectations were "plug and play" for Triggertrap. But I quickly learned that this app is a bit more complex. Triggertrap is an accessory for photographers who like to fiddle, experiment, fail, then ultimately succeed. You can do amazing things with it, like having the GPS in your iPhone measure your movement, and program the camera to release the shutter at a specified distance. That way, if you're documenting a road trip via time lapse, you don't burn a ton of useless frames while sitting in traffic. But simple functions, such as using your iPhone as a cable release, have a degree of difficulty too. Suddenly I found myself reading the mobile manual trying to figure out delay settings and pulse lengths. If you like this stuff, you'll love the control that Triggertrap allows; if not, you'll feel the app is unnecessarily complicated. There were some performance inconsistencies too, especially when controlling the DSLRs via the cable. Sometimes one tap would equal a single exposure, other times multiple. I double-checked my camera settings to make sure I was in single frame mode, but it didn't seem to make a difference. 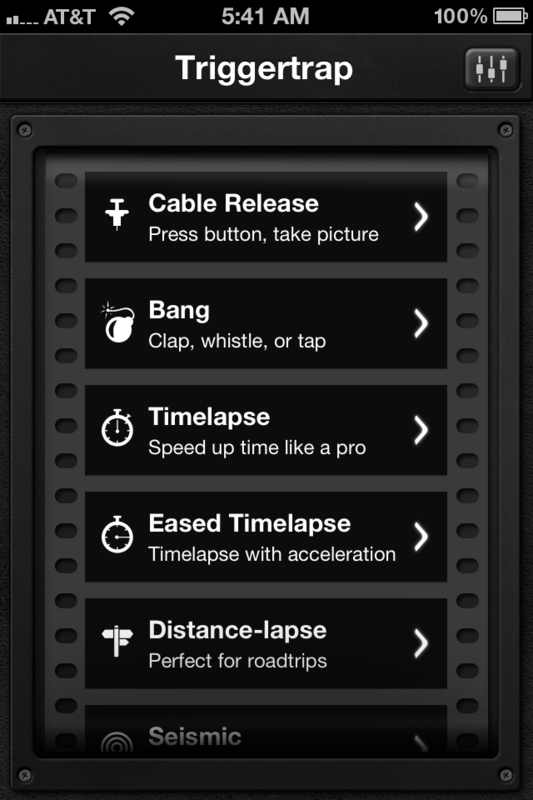 For some functions, such as time lapse, this wasn't an issue. Everything worked great. But the sound trigger (Bang) and simple cable release were sometimes more of an adventure than I expected. Triggertrap accessory dongle and connecting cable. 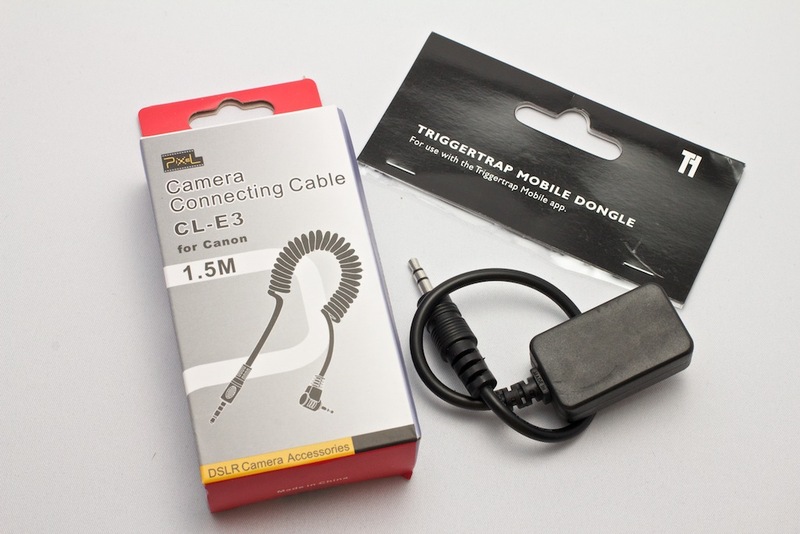 Check the Triggertrap site to get the correct cable for your camera. 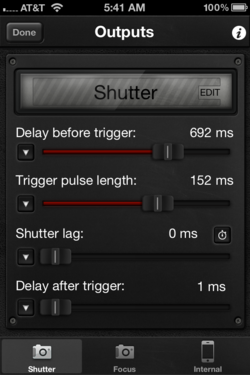 If you're looking to create something out of the ordinary with your DSLR, take a look at the Triggertrap functions. For a $30 investment ($10 for the app and $20 for the cables), you can use your camera in ways you might not have imagined. But, you if want a simple remote release with a handful of expected functions that doesn't require any fussing, Triggertrap probably isn't for you. It requires engagement, experimentation, and sometimes frustration before providing you with the rewards you're seeking. I'm planning a project with it where I'll use the eased time lapse function with the StarLapse motor mount to create a new time lapse movie. I'll keep you posted on the results. Review is right on. I was very excited at first when I purchased the items and app but they were buggy with Nikon. I have a D7000. A few updates and now it works right but you really have to spend some time with it to understand everything you can do with it. For the basics I think my wireless remote with the different camera settings does just as good for what I need. I am sure though that I will try some of the features on a future project. Thanks so much for your comments, Mike. I wasn't able to test the Triggertrap with Nikon, so it's helpful to have your views as part of this review. Lead dev on Triggertrap here. Thanks for the review. You make some good points about the complexity, which is something we'll be addressing in the next release. We're adding presets, which makes it easy to get all the right settings for your camera without needing to fiddle with all the sliders. Looking forward to see your timelapses! Looking forward to seeing the updates with presets. When do you expect those updates to come out? (I'm a representative of Triggertrap along with Matt). The presets function is included in the most recent update of the app, version 1.1.0, which has just become available through the app store a couple of days ago.